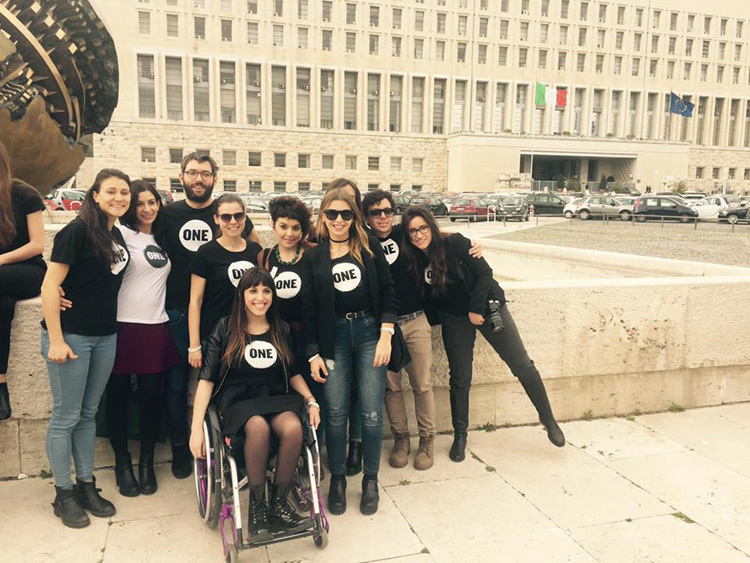 Forty young Italians with ONE for the fight against world hunger Among the “Youth Ambassadors” selected by the international organization founded by Bono of U2, there are three from Puglia: Chiara De Carlo from Salento and Valentina Tafuni and Simona Cicolella from Bari. 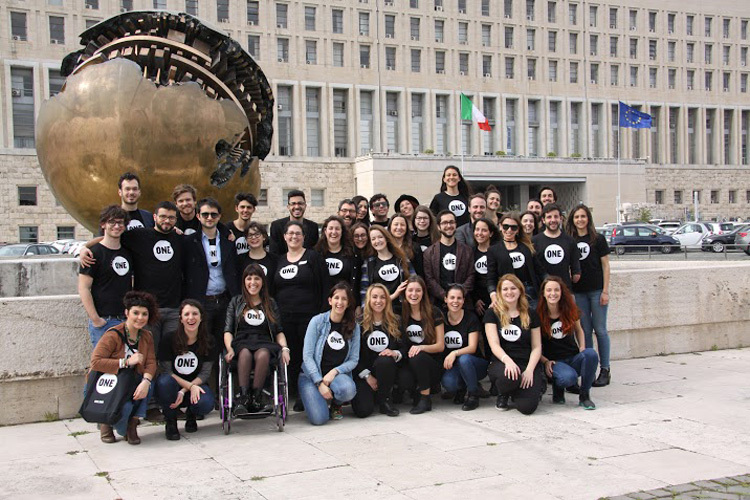 Forty young Italians have been chosen as “Youth Ambassadors” by the ONE organization. They will participate in an annual program that aims to eradicate poverty by 2030, raising awareness in the general public, working with influential figures and trying to exert pressure on the young. ONE is an International organization co-founded by Bono of U2 and made up of over 7 million people, which carries out activities of advocacy, lobbying, and consciousness-raising to fight AIDS and transmittable diseases, increase investment in agriculture and nutrition and put pressure on multinationals to create transparent fiscal systems. The main branches are located between Washington and New York while in Europe there are over 300 “Ambassadors”, coming from Italy, France, the United Kingdom, the Netherlands, Ireland, Belgium and Germany. In Puglia three “Youth Ambassadors” have been chosen: Chiara De Carlo, a law student at the University of Salento, residing in Nardò (Lecce), and university students Simona Cicolella, from Molfetta (Bari) and Valentina Tafuni, from Acquaviva delle Fonti (Bari). They will be representing Italy and in particular, the southern area. 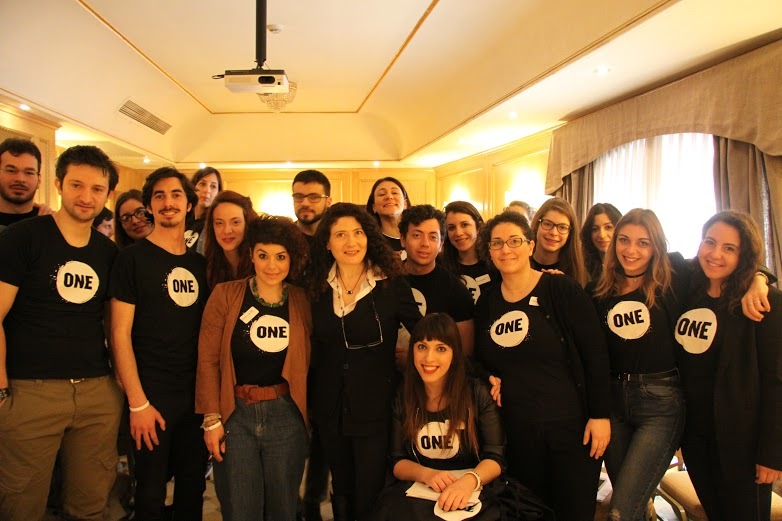 Diane Sheard, transitional Director of ONE for Europe, states: “This year, too, the caliber of the young Italian ambassadors is outstanding and we are looking forward to working with them in the battle against extreme poverty. With international summits on anti-corruption, health and nutrition planned for 2016, and the Italian presidency of the G7 in 2017, world leaders will be called on to make an initial verification of the commitments entered into last year for the achievement of global objectives. The young ONE ambassadors will hold them to the promises made. Their activism and passion are definitely not to be underestimated”. The young ambassadors went to Rome in March for a course on the organization of lobbying, the use of the social media and relations with the means of communication. While there, they had meetings with Antonella Napoli, journalist and collaborator with the Senate Human Rights Commission, and Tobia Zevi, Advisor to the Foreign Affairs Minister, Paolo Gentiloni, for the development of human rights. Last year, the young Italian ambassadors made interventions as a pressure group at the G7 in Munich, as well as participating in the UN General Assembly in New York and making their voices heard in support of the UN’s new global objectives for sustainable development. The coming Summit 2016, which will involve the ambassadors of Europe, will be held in Paris at the OECD meeting and events are envisaged starting from Salento (the South of Puglia) and involving the whole of Italy.